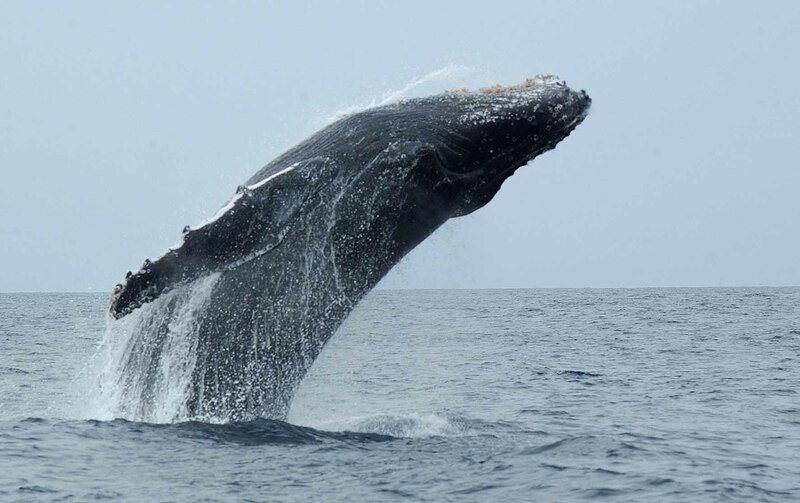 The East Coast Humpback Whale Survey, which began in late June 2018, has gotten off to a good start in Cape Vidal, iSimangaliso Wetland Park. 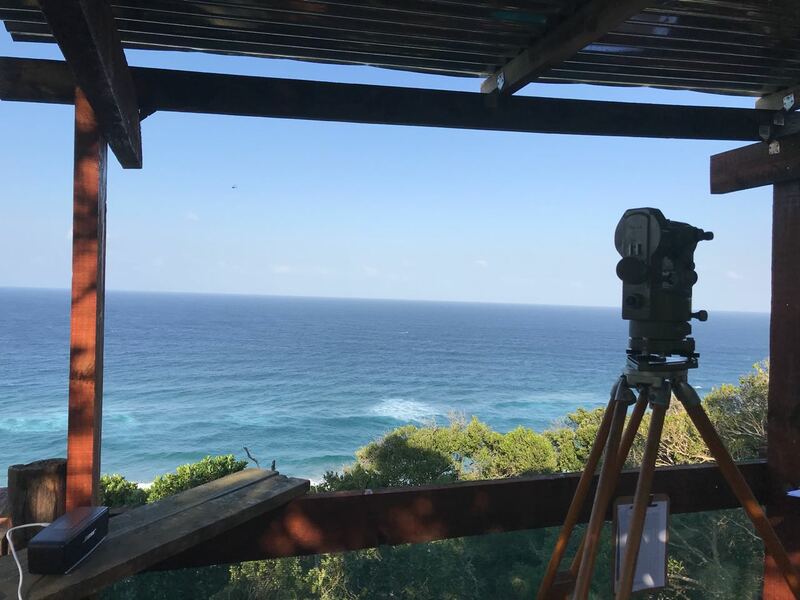 Consistent whale numbers have already been recorded by the monitoring teams stationed on two lookout towers since the project began. The whale towers afford observers a panoramic ocean view, ideal for spotting whales. The aim of the Humpback Whale Survey is to gain an estimate of overall whale numbers and group sizes, as well as a better understanding of whale densities, migration speed and bearing and distance off-shore. This data will help conservationists and scientists expand on current knowledge of the east coast Humpback Whale migration, and therefore detect any changes in the population. 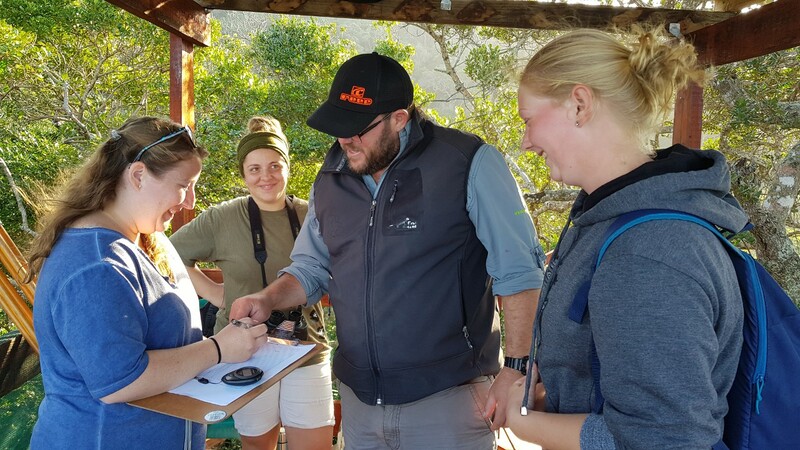 Chris Wilkinson, Technical Manager at the University of Pretoria’s Mammal Research Institute, instructs Wildlife ACT volunteers in data collection techniques. The long-term dataset generated will also provide a unique tool for monitoring the effects of potential impacts such as boat-based whale watching, shipping, pollution, climate change, fisheries, and oil and gas exploration. Noise in the ocean from large ships or offshore mining activities for example, have been reported to induce habitat displacement and behavioural changes as they overlap with the acoustic signals used by Humpback Whales to communicate. 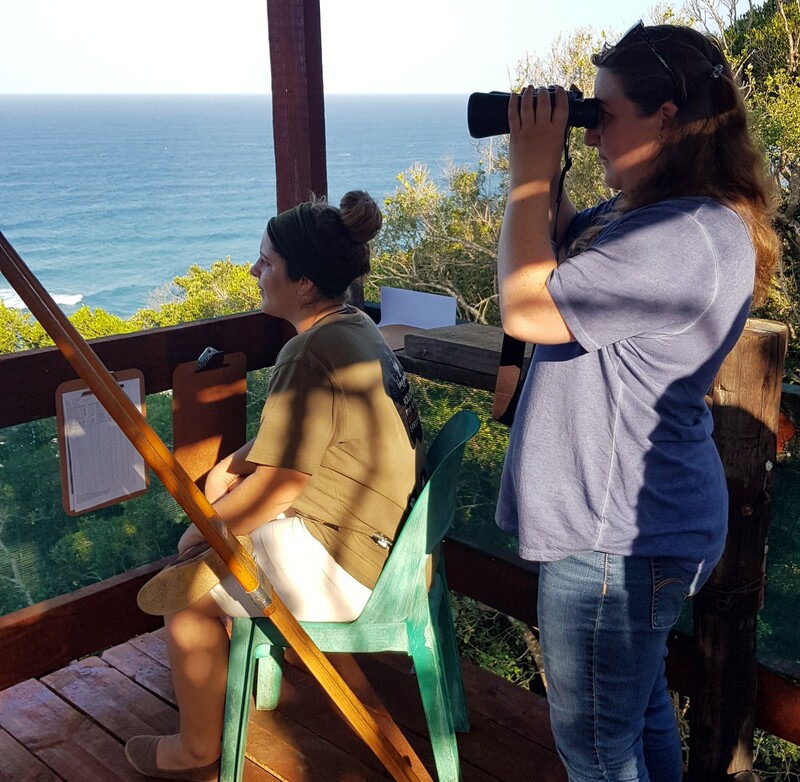 Wildlife ACT volunteers counting and recording East Coast Humpback Whales from Cape Vidal’s whale observation tower. Commercial whaling decimated whale populations until 1963, when protection of Humpback Whales was first implemented – marking one of South Africa’s greatest marine conservation success stories. Whale numbers have been steadily increasing since, however, threats to these whale populations are nonetheless accelerating. “Collaborative surveys such as this East Coast Humpback Whale Survey provide the opportunity to understand these successes, but also inform the future management of our oceans and ensure that we do not again enter a stage where the populations of these magnificent animals are threatened,” says Chris Kelly of Wildlife ACT. The monitoring project has been spearheaded by WILDOCEANS, a new marine and coastal conservation programme of the WILDTRUST, developed in response to the need to ensure ocean health and sustainability for all. Wildlife ACT is very excited to be playing an active role in this Humpback Whale Survey by providing the full-time and consistent monitoring required over the two month period that the survey will run for.